LAUNCESTON, Australia, Feb 26 – It seems coal miners are adopting one of two disparate strategies, either exit the business in a highly visible way to buff up your climate credentials, or sit tight, keep as quiet as possible and rake in the cash. An example of the public exit from the business is South32 , the Perth-based miner spun out of BHP Billiton which is in the process of selling out of its thermal coal assets in South Africa. It would also be better if the coal mines were majority-owned by black investors, Fraser said. This is a reasonable recognition that it’s increasingly hard for companies without black investors to do business in South Africa, given its laws and rules aimed at promoting the economic interests of the majority population following centuries of discrimination under first colonial and then white-minority rule. 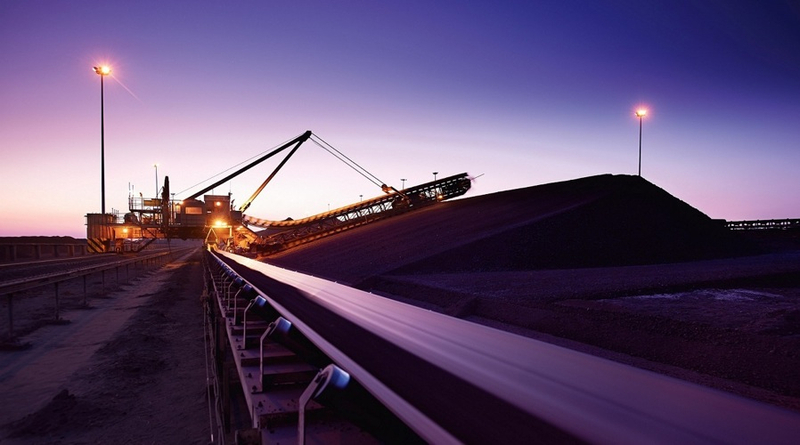 South32 joins Anglo American in getting out of South African coal, with the London-listed miner selling the last of its domestic coal assets to a majority black-owned company in January. Anglo American will continue to export coal from South Africa, but it will no longer be a participant in supplying the domestic market, which is dominated by the state power utility Eskom. Perhaps it’s not surprising that the two major coal asset sales this year are taking place in South Africa, given the ongoing dispute between the government and the mining industry over a new mining charter and the requirements to increase the participation of black investors. But Rio Tinto also decided to exit its Australian coal business, selling out to Yancoal Australia and Glencore. If there is a trend at play here, it’s that diversified miners are the ones most likely to exit coal, and some have cited the risks of being in an increasingly unpopular business. Activists and other investors are ramping up pressure on fund managers and sovereign wealth funds to divest from companies that are in coal. Given coal was a tiny part of Rio’s business, exiting the industry makes sense, especially if you can then tout yourself as a miner of metals that will be part of the electric vehicle and battery revolution. The other choice is to stay in coal and try to mitigate any public backlash. BHP and its alliance partner Mitsubishi are the world’s largest exporters of coking coal, used to make steel, and there are no signs that the miner intends to exit the business. Same goes for Glencore, and both these companies are probably calculating that the monetary rewards from coal still outweigh any public backlash. Benjamin Sporton, chief executive of industry group the World Coal Association, told Reuters in an interview on Monday that there was a positive mood among many coal miners. While Sporton said coal producers acknowledge that the market is shrinking in Europe and faces a huge challenge from cheap natural gas in the United States, Asia is presenting good opportunities. “Our membership see a strong future in Asia,” he said, citing expectations that China and India will remain major importers of both thermal and coking coal, while demand will also be boosted by newer consumers in Asia, such as Vietnam and Pakistan. The absence of major new coal mines and Indonesia reducing exports to fuel domestic demand also means that supply to seaborne markets is likely to be constrained in coming years, even if there is a slowdown in the construction of new coal-fired generators. The reality for many existing coal miners is that conditions now are as good as they have been in living memory. The price of thermal coal is strong, with the Asian thermal benchmark Newcastle Weekly Index ending on Feb. 23 at $110.60 a tonne, the highest in six years. Costs are also down, with the industry having cut every sliver of fat during the five years of declining prices from 2011 to 2015. An example of the strong conditions for coal miners is Australia’s Whitehaven Coal, which on Feb. 16 reported that its first-half underlying profit rose by about 63 percent to A$257.2 million ($204 million). It also paid a dividend for the first time since 2012. For coal miners who can take the heat of the public opinion kitchen these are good times. For those who no longer see coal as part of the future, they can sell out, at prices higher than what they might have expected a few years, and at the same time hopefully gain some climate-change credibility.